The variable capacitor is clearly not going to be able to stand much power but at 20W it doesn't appear to be arcing. 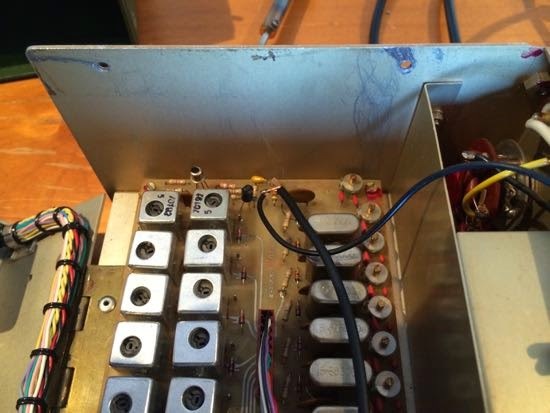 This capacitor has a reduction drive and I'm using a switch to add a bank so that I can tune both 40m and 20m. Joining the tuning shaft to a dowel rod with a piece of plastic pipe and cable ties worked out quite well although there's a little slippage. 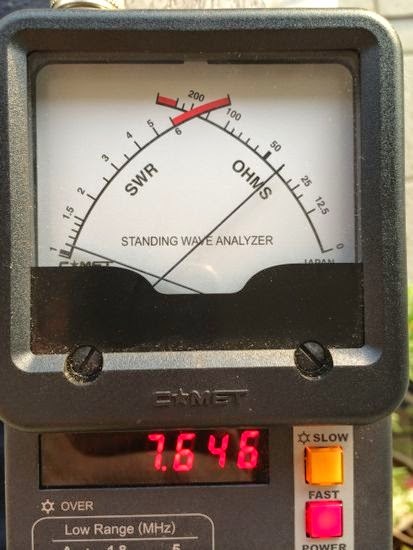 Tuning is incredibly sharp but a very low SWR is achievable. 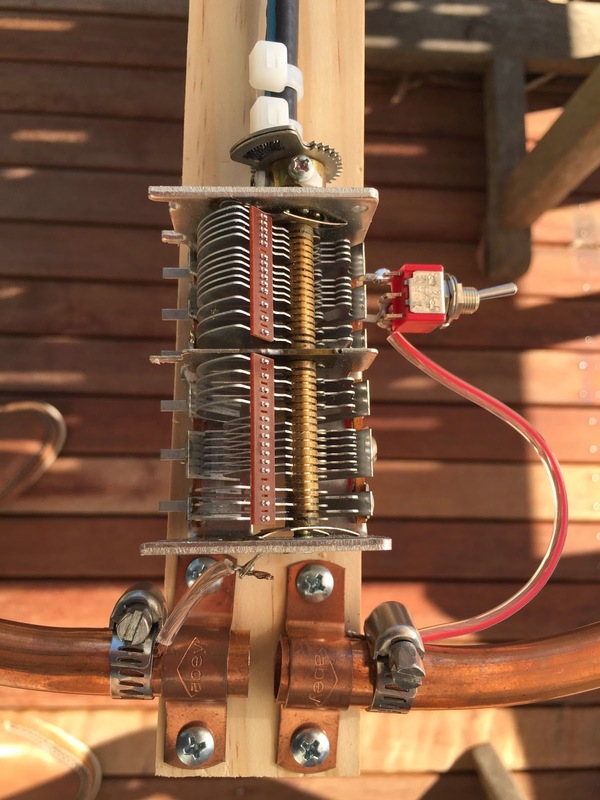 The offset of the tuning stub was a guess but seems to be reasonably close to 50 ohms. 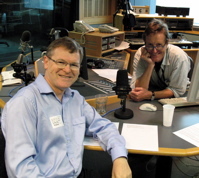 I had a pre-arranged contact with Stephen, VK2BLQ who could hear me reasonably well. 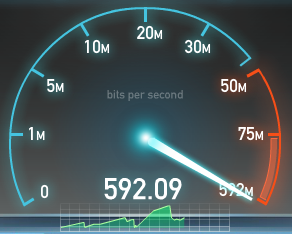 Reception seems excellent and of course the very narrow bandwidth leads to nice low noise. 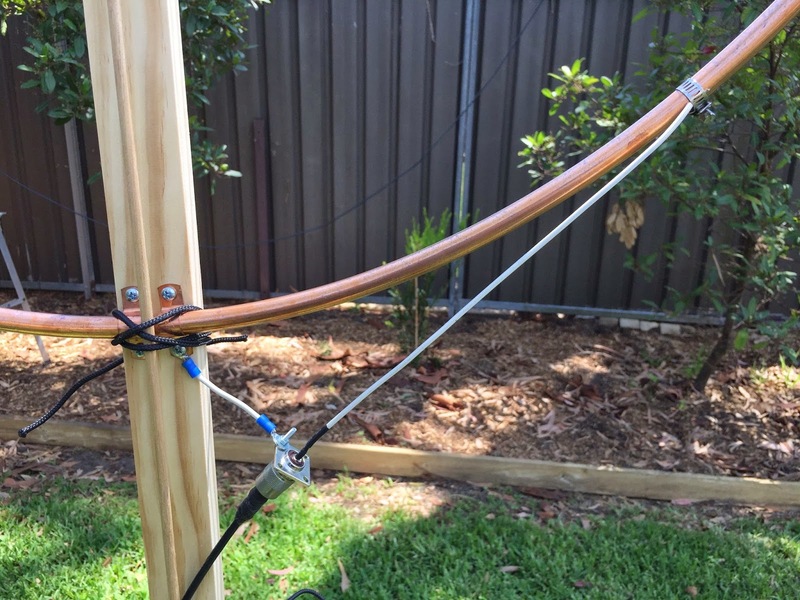 Had a visit from Bob Bray who liked both the shed and the loop antenna, although I suspect he wasn't impressed with my impression of a circle. 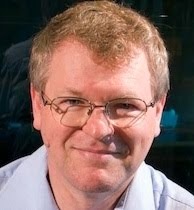 Robert John Bray is a prominent astronomer who has been honoured by having a main belt asteroid named after him. I've changed capacitors and added a 36RPM motor drive and a box to switch direction. The drive is still way to fast and now I'm looking for a reduction gear or multi-turn capacitor of some sort. 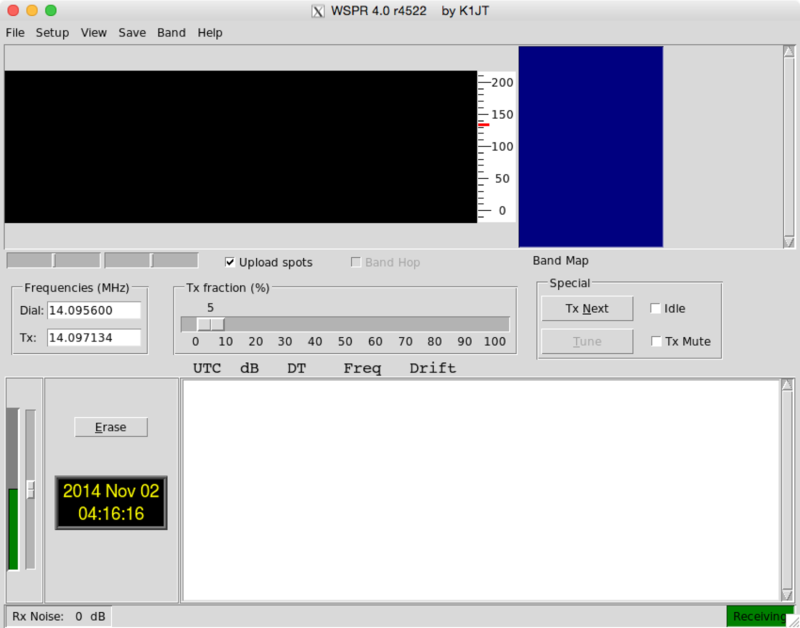 This week an Ultimate3 QRSS/WSPR kit beacon kit I ordered arrived and this morning it was easily built. The display is super crisp. 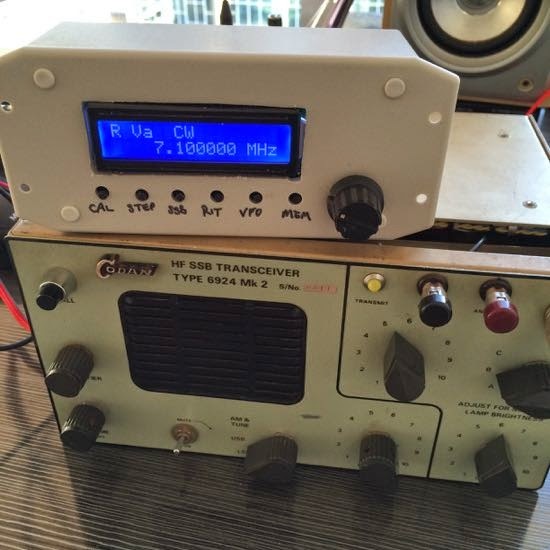 I ordered mine with the 30m low pass filter. The whole thing runs on 5V so I chopped an old USB cable and have been running it from a USB charger or battery. 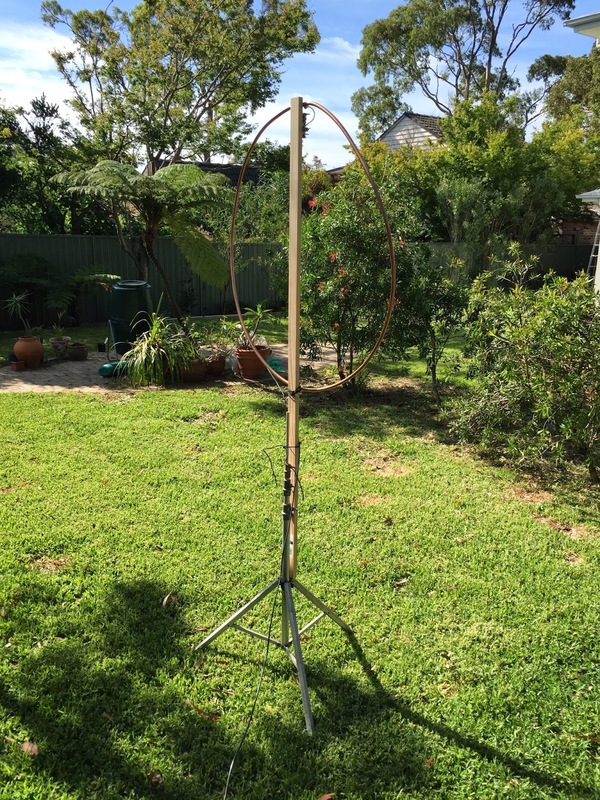 It's a great kit, with very clear instructions and it came together very smoothly. Mine was missing one small capacitor but it was no trouble finding one in the shack. The software is very well done and everything is set up using two push buttons placed in just the right spot for your fingers while holding the board with the display facing you. I ran Hellshreiber for a while but it didn't look too good on fldigi in the house, now I'm running 20WPM morse but that's not decoding perfectly either - my guess is that the signal is so strong that AGC is messing with it but I'm still trying to figure this out. 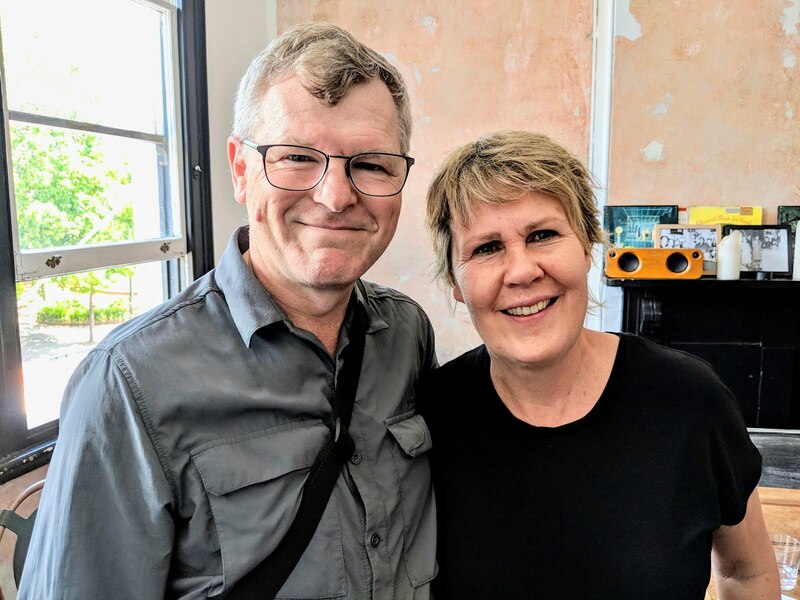 This week the ARNSW Home Brew Group was honoured with a visit from David Rowe, VK2DGR, who spoke about codec2, FreeDV, and the upcoming hardware implementation called the SM1000. 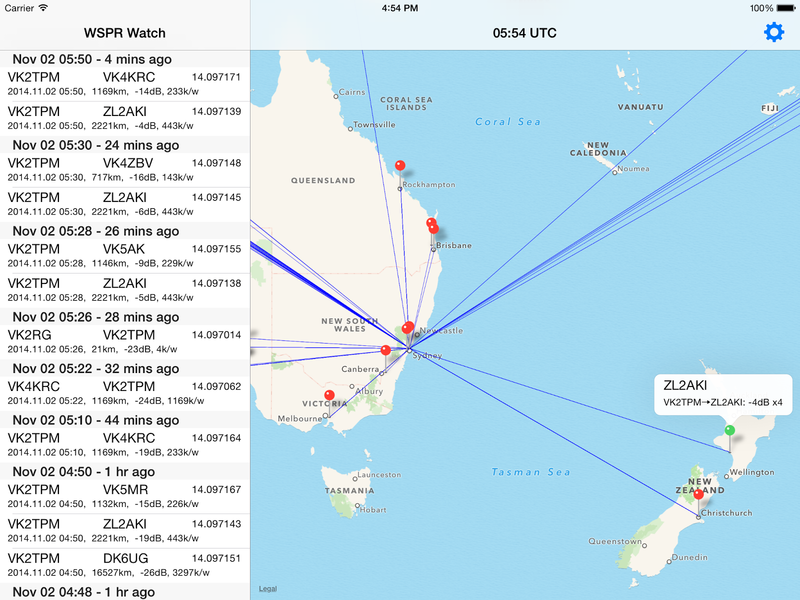 I've updated the iOS app WSPR Watch with support for iPad, iPhone 6 and 6+. The program is simpler than before but I think more useful with a feature I've long wanted, a direct view of how long ago each of the spots were reported. As always, it's free and all data is gratefully pulled from the legacy database page on wsprnet.org. 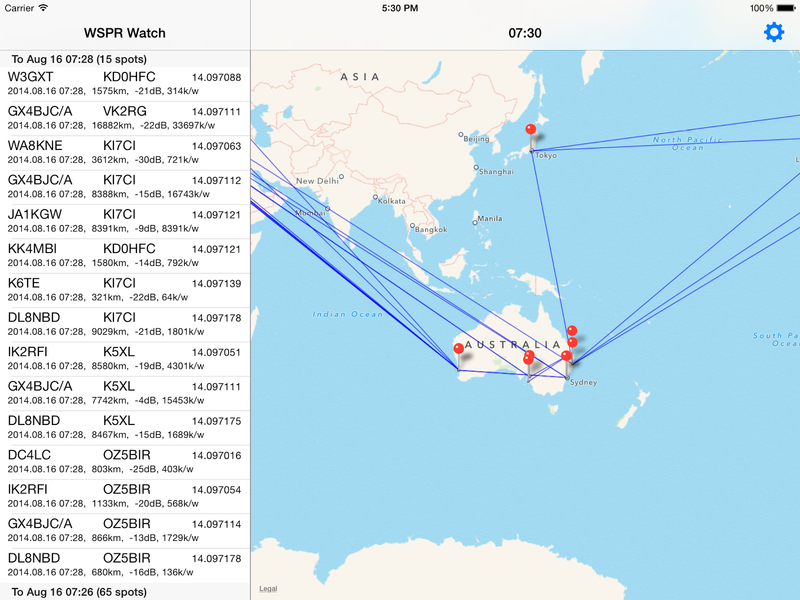 I'm happy to report that there are a couple of equivalents for Android, one from developer Derek G4SWY, who made WSPR World Watch, and another called WsprNetViewer by Joseph D. Glandorf with source code and it's in the Play store. Great work! 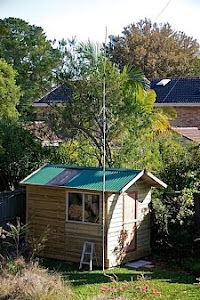 My own WSPR beacon station is on 20m running a vertical wire antenna on a 6m squid pole. 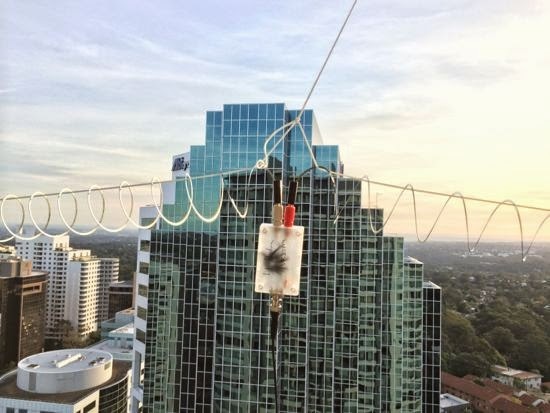 It doesn't take much to reach around the globe. 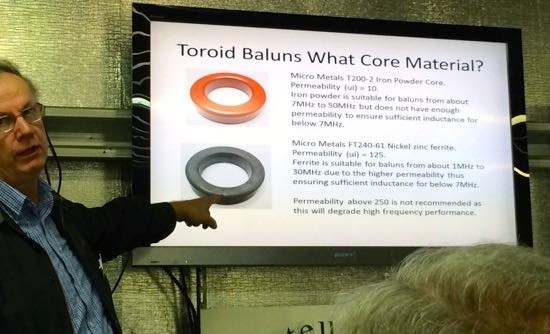 Today was "balun day" which began with breakfast followed by a terrific talk from Mark, VK2XOF, about the theory and practice of building current baluns. 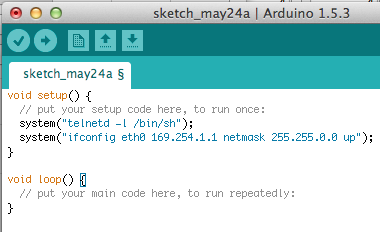 The biggest mystery for me is what core to use. 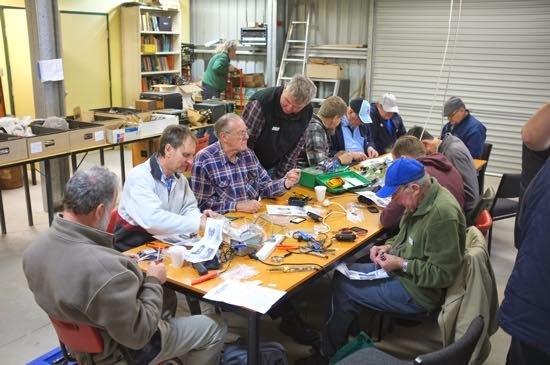 After the theory, and lunch, we all received out balun kits from TET-Emtron. 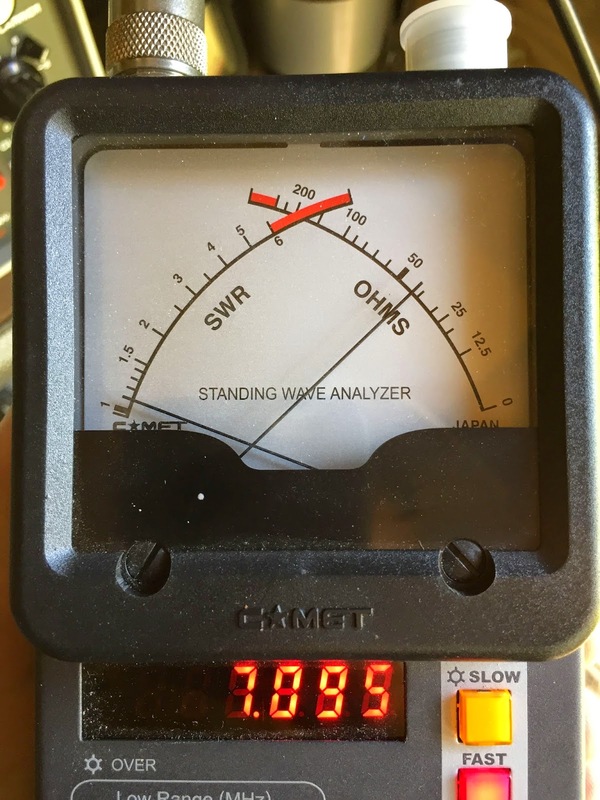 I went for the TB-11K 1:1 kit rated at 1kW peak. 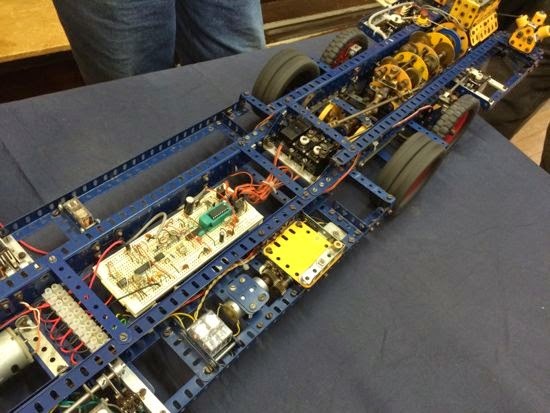 We then built our kits under the guidance of folks who had built them before. 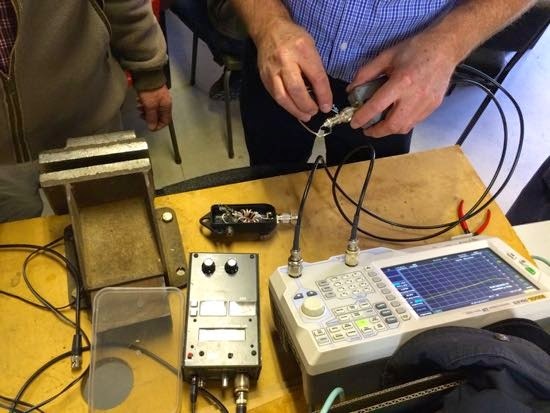 Finally there was a spectrum analyser and antenna analyser on hand to measure the baluns. Some home constructed baluns were found to have high reflected power which was very interesting to see. 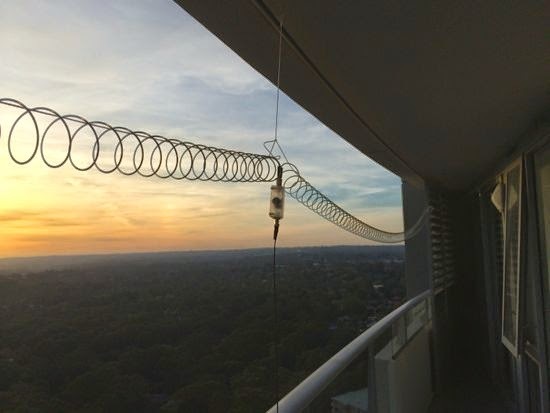 The method for assessing a balanced to unbalanced balun's operation is to attach a 50 ohm load on to the antenna terminals, feed it from an antenna analyser and connect one and then the other of the antenna terminals to the ground of the input and see if the impedance changes very much - if all is working well it should not change. My sincere thanks to the ARNSW committee and all who clearly worked hard to make this day a great success. Thanks also to TET-Emtron for producing the fantastic kits and for their support. Up here on the 28th floor it was pretty windy today. 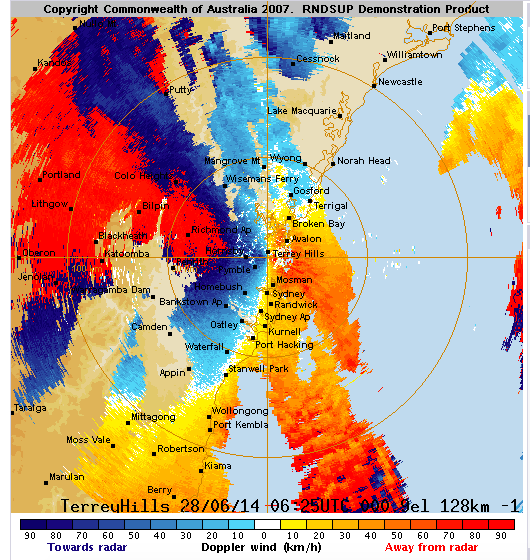 The doppler wind radar looked pretty interesting. RNDSUP seems like a fun technology. 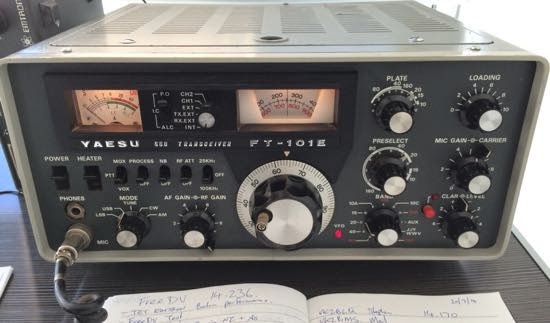 I recently purchased an old crystal controlled Codan lunchbox radio and want to put it on 40 and 80m so I've found a rather nice DDS VFO on ebay for AU$45. 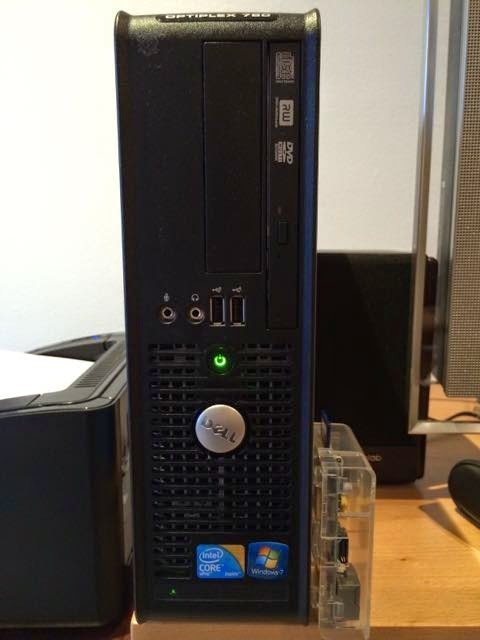 This one has two PIC CPUs on the board, a nice backlit display and comes with a tuning knob but no info on wiring it up. The same unit is in other ebay auctions and one of them has this "schematic" which will be a help, if it's correct. My board came with some cables with sockets to match the connectors on the board and the rotary encoder. Here's other info, for future reference. (It all seems a little mysterious to me but hopefully will be clear when I play around with it). Note that the wiring of the rotary encoder in the sketch above (from an eBay ad) is shown from the rear of the encoder. I wired it up in reverse and it works but the tuning goes clockwise for up in frequency. My thanks to Stephen VK2BLQ for access to his workshop, here's my VFO all boxed up. One criticism of these boards is the lack of mounting holes. I've stuffed the box with cloth to press it against the front and that works fine but is not ideal. I've now added a 9V three terminal regulator so that the unit can run from my 12V bench supply. All up this is a terrific VFO, pushing while turning the knob changes the digit that will be adjusted so it's quick to get around. 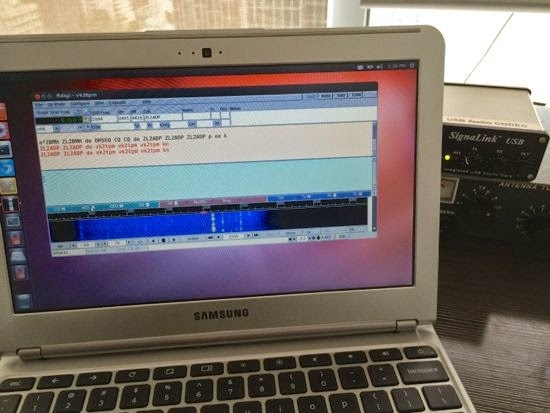 Thanks to commenter Yiannis, the documentation and software source has been traced to Ham Radio India. 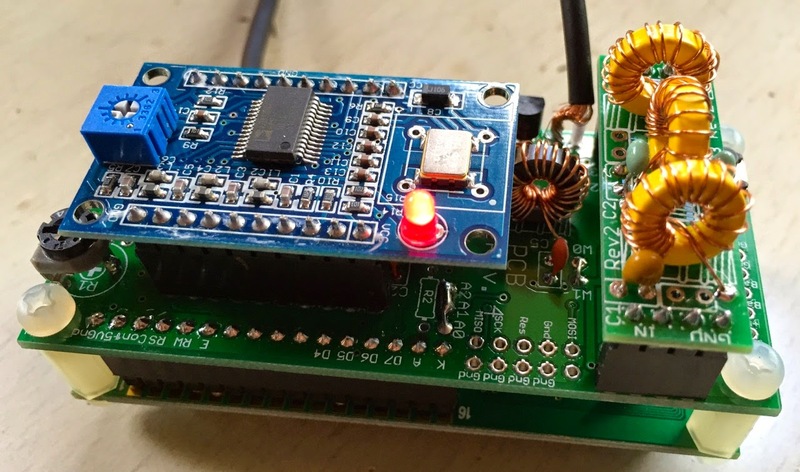 The objective of this device for me was to use it as a VFO for my Codan 6924 radio. 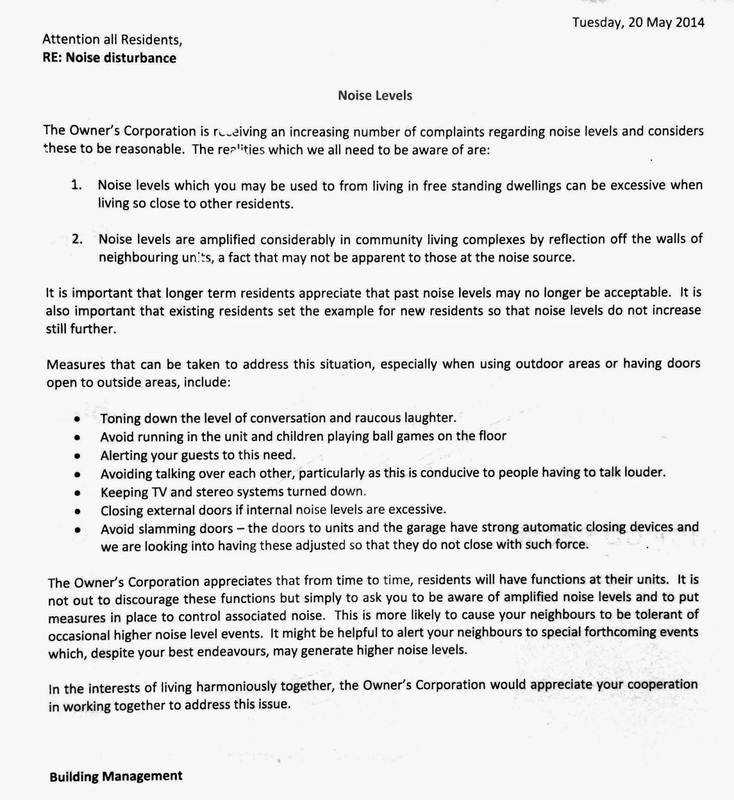 There's a handy page outlining how to do this. This weekend I ran a cable to an empty crystal spot. This makes the old radio look very fancy. As I tune around I notice carriers sweeping by at some frequency ranges but not others. 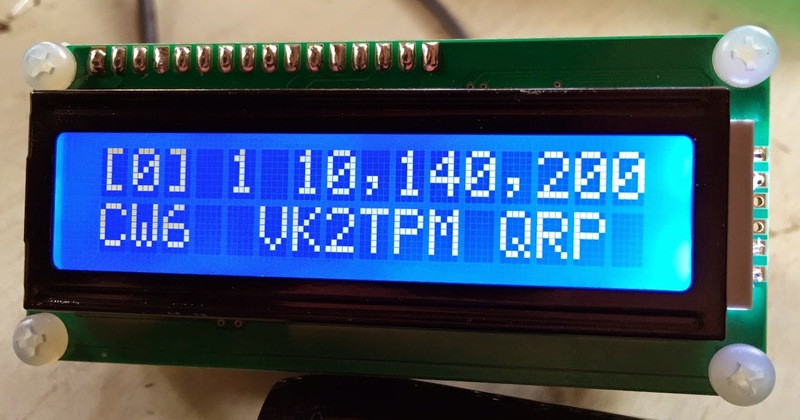 I took the DDS over to VK2BLQ's lab and it seems that for many frequency ranges the output drops dramatically. I'm not sure what's going on here but my guess is that it's designed to cover only certain bands and not others. A while back I bought a Samsung Chromebook, the one that runs a non-Intel ARM processor. 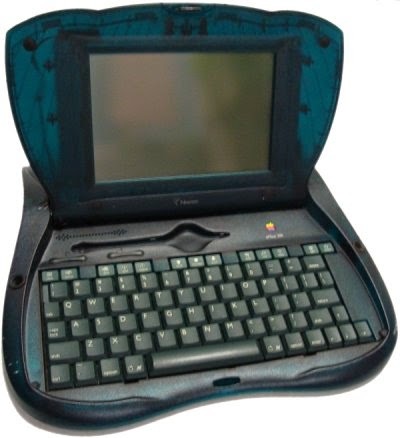 I see they are AU$320 and work nicely as a low cost web browsing laptop. Just the thing to take away if there's a risk of it getting lost or stolen. 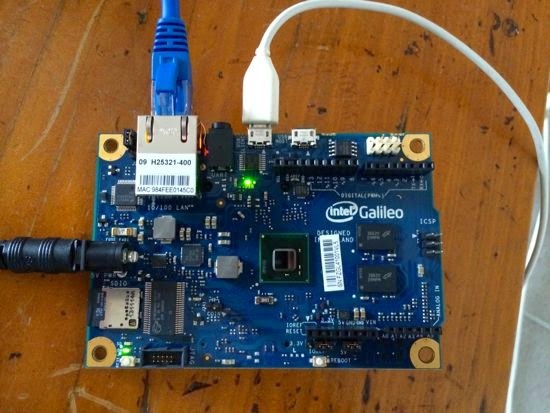 It turns out they can be encouraged to run Linux along side the normal operating system and it seems it's quite practical to run software like Fldigi. The trick is to put the Chromebook into developer mode and install the crouton chroot software. There's plenty of instructions around the web so I won't repeat here except to say that I first tried the xfce target but fldigi crashed on startup. Installing unity did the trick. Fldigi finds the Signalink USB adapter just fine and all seems to work nicely. There is a bug where the linux environment doesn't do tap to click or right mouse button, but if you switch to Chromebook and back again all is well (there's a whacky key command for this). It seems like this bug was fixed a year ago but has returned. These laptops are very light and have a keyboard better than most of the old "netbook" class machines. Very low power consumption too. 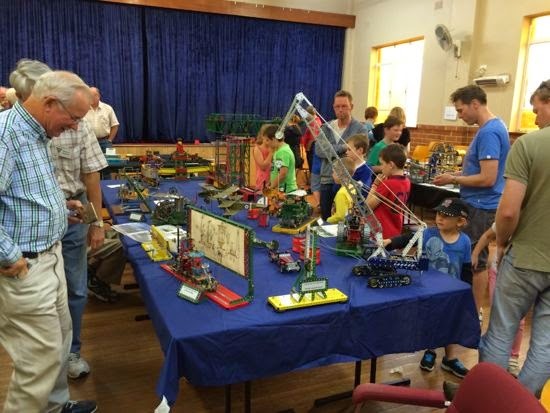 Mal, VK2BMS, and I enjoyed the Meccano exhibition held in Forestville today. 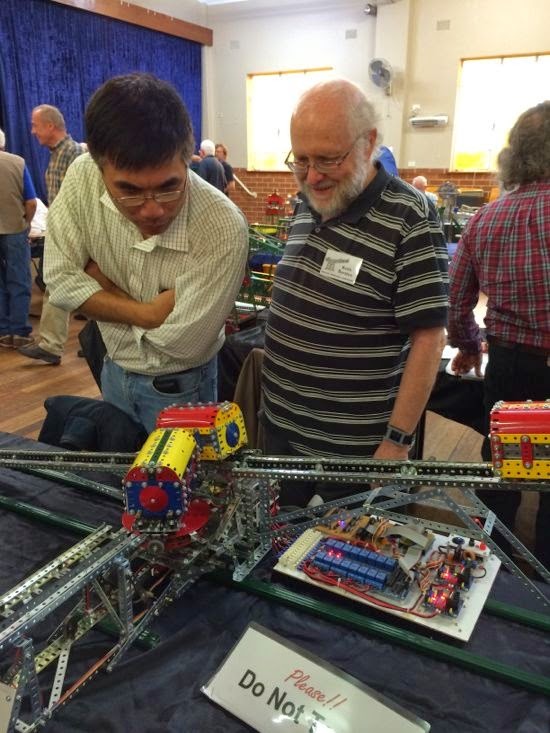 It was well attended and the organisers had put a lot of work in to the display. 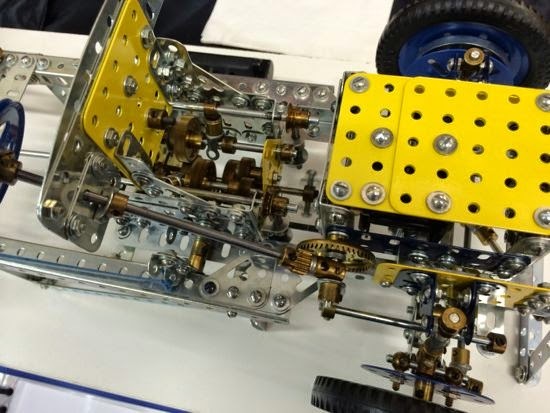 Meccano can be used to build gearboxes and differential transmission. 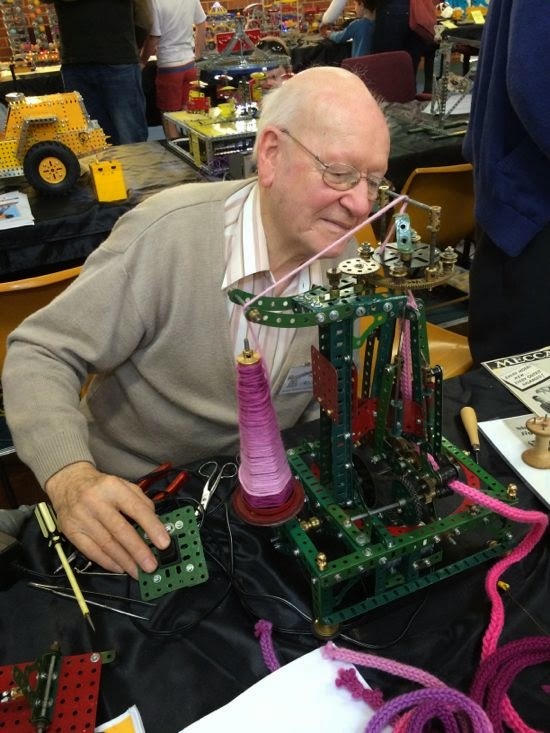 This guy had made a knitting machine. Electronics is creeping in, this machine had an Arduino at the core of it with a fantastic relay board running everything. 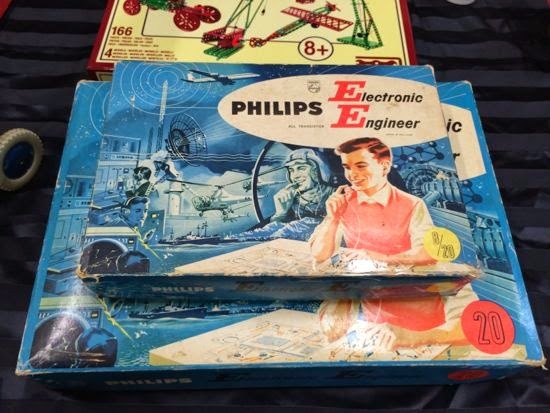 I remember using one of these Philips electronics kits as a child. 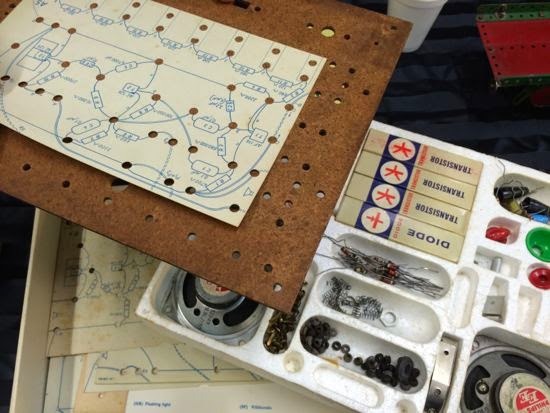 Circuits were built to a template with components joined with little spring things. This electronically controlled car had everything including electric windows. 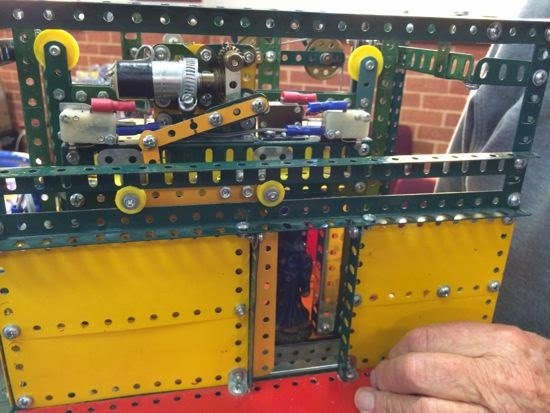 A two story elevator with doors and interlocks was built by a retired lift mechanic! 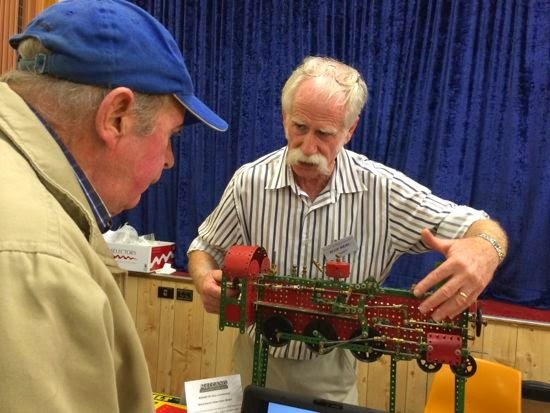 Here's Mal learning about steam engine control from a fellow amateur. The KX3 is a radio with convenient standard looking connectors, either 2.5mm or 3.5mm sockets. 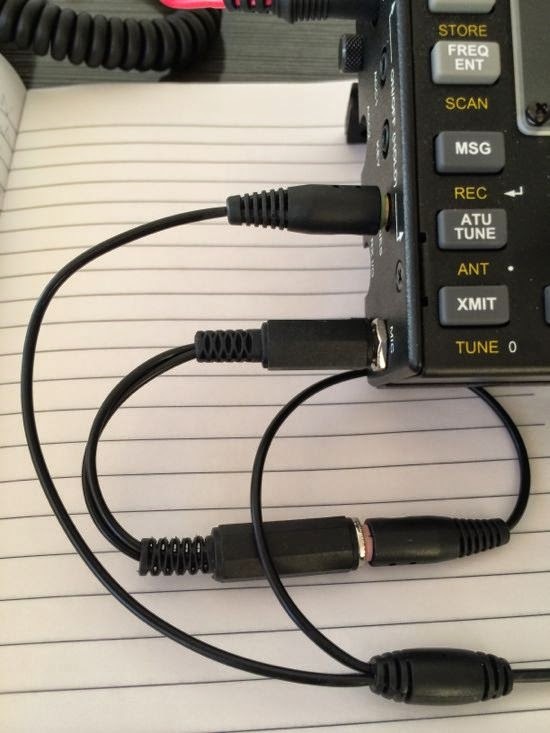 Elecraft mentioned that many low cost PC headset mics can be used in the four conductor mic socket but I found for my Logitech unit a small adapter cable had to be constructed. When I first tried this, mic gain was way too low, but I noticed that Elecraft had a firmware update I hadn't applied that offered increased microphone gain. "SUPPORT FOR HEIL HC-6 MIC ELEMENTS: Mic gain can now be set as much as 20 dB higher to support these low-sensitivity elements." 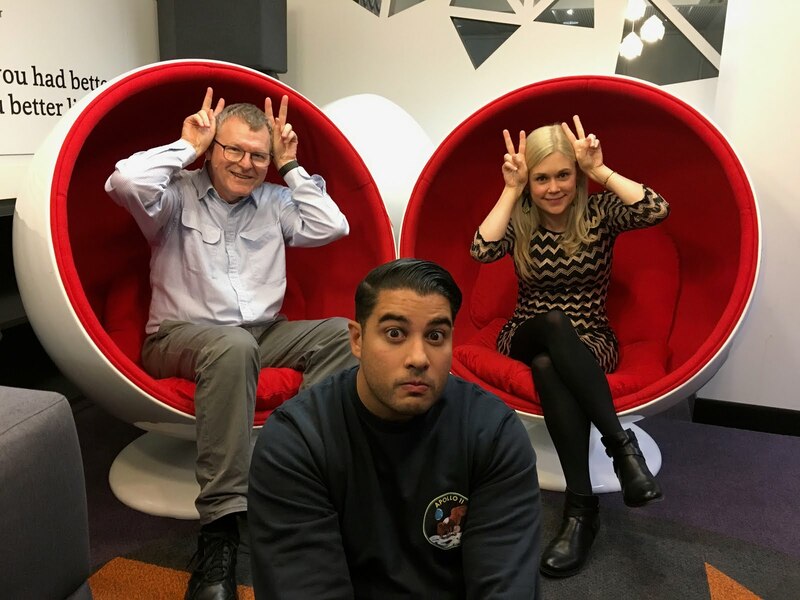 On air reports from Mal, VK2BMS and Stephen, VK2BLQ suggest that the audio from the $15 headset is a little lacking in bass compared to the normal microphone but this can be adjusted if required. The headset is very light and comfortable but probably not robust enough for field use. Incidentally, I accidentally interrupted the firmware update process and this left the KX4 in a mode where it displayed "MCU LD" on the display with the red TX light flashing. I wrote to Elecraft customer support and Howard replied within minutes with the procedure to get past this. (I won't reproduce it here as I guess it might change over time).